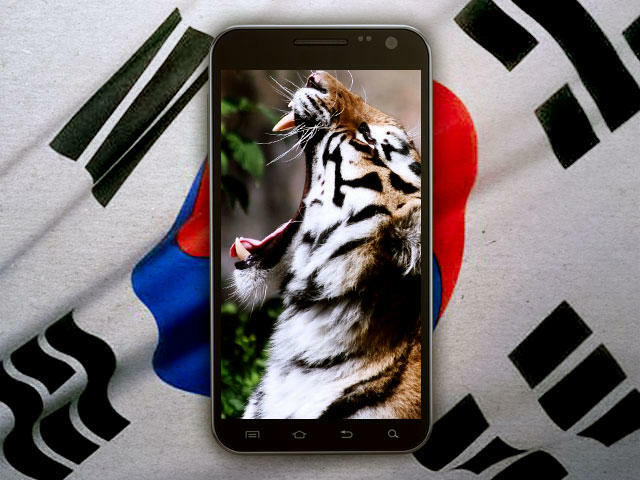 Among the four Asian Tigers, the one that arguably proves most relevant to the West in terms of consumer technology is Korea. Certainly, those immersed in technology are acquainted with the idea of Korea being a technologically-savvy nation, and are probably even more well-acquainted with the devices that originate from the Korean chaebols (재벌). But what is life like for the people of this peninsular nation, and how does technology play a role? South Korea’s meteoric economic rise since the Korean War is in part a story of the success of business and technology. The marriage of the two continues to play an important role in the economy of today’s Korea as well. Two large conglomerates, Samsung and LG, compete on a domestic and international scale. In Korea, technology is more than a hobby or a convenience, it permeates the culture and is intertwined with the country’s history, education, and music. Smartphones and tablets are not just tools, but status symbols. It is little wonder, then, that Koreans have set such a voracious pace of adoption. Reports indicate that in October of this past year there were more than 20 million wireless subscribers in Korea – nearly 40% of the entire population. But in order to have a real appreciation for the nation’s mass appetite for technology, look no further than their children. Life as child in Korea is demanding. Many if not most Korean children attend after-school academies for not just English, but also Science, Mathematics, and any other subject their demanding mothers might insist upon. In order to facilitate the grueling schedules of children in the world’s second largest metropolitan area, nearly every school-aged person has a cellphone. This is but one example of how culture and technology in Korea are intermingled. What you just saw was the LG G-Slate tablet. Keep in mind that this isn’t just an artist flashing the newest piece of tech; at the time of this video, the G-Slate hadn’t even been released yet. But the best part about the subway? No cell phone restrictions. Despite being many meters beneath the earth, the lines have been equipped to offer service for all carriers. 3G not fast enough? Wifi is also available in subway cars themselves. And if a wireless connection isn’t enough to entertain, another service comes into play: DMB. Digital Media Broadcasting (DMB) is mobile television, is available above ground and underground, and comes standard on virtually every Korean handset. Internet access in Korea has long been one of the country’s strong points. In fact, Korea tops the list when it comes to countries with the fastest connections, and they’re not about to stop. The country has been working to deploy a nationwide fiber-optic infrastructure, and while they’re still working on upgrading the network to 1Gb/s (hopefully later this year), 50Mb/s can still be had for about 40,000w (~$40) a month. Another strong point of living in Korea is the copious number of wireless hotspots floating around the city. You don’t need to be in a coffee shop to pull down that sweet wireless goodness, although the vast majority of caffeine joints do offer it. You can generally pick up 10 or more signals on any street corner, with at least a few of them offering access to unsecured networks. Right now I’m in a cafe in a residential neighborhood of Seoul. I’m seeing 31 different WiFi hotspots, seven of them unsecured. But even if I didn’t want to rely on unsecured hotspots I’d be fine. Two of the carriers, KT and SK, have blanketed the city with WiFi access which can be accessed virtually anywhere for a monthly fee. 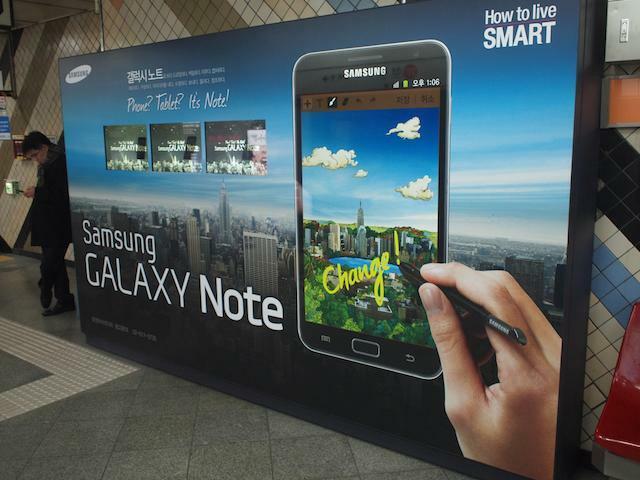 Mobile is arguably the hottest space in the tech world, and Korea is no exception. Having the world’s largest handset manufacturer (Samsung) doesn’t hurt, but Korea is excelling at more than merely producing great hardware. Korea has always been bullish on wireless service. There are 3 main carriers, SK, KT and LGU+. Unlike in the USA, unlimited 3G data plans are still easy to come by. But 3G is old news, and Korea has been strongly in the 4G game for many years. Initially a WiMAX service called WiBro rolled out early in the last decade, which is now being supplanted with LTE. In fact, South Korea is the first country to have every carrier offer LTE services . Unfortunately, unlimited LTE data seems to be unlikely. While WiMAX service from at least one carrier was initially unlimited, an estimated 0.002% downloaded upwards of 700GB a month, resulting in the cessation of such plans. Korea is a wonderful place to be for technophiles, but all is not roses. Choice is not as abundant as in some other parts as the world, and pricing can be a conundrum. One would think that Samsung or LG would always treat its home to competitively priced tech, but sometimes that’s not the case. Not only did Samsung release the original Galaxy Tab abroad first, but it also wound up being much cheaper outside of Korea. In the USA, the Tab was introduced at a price of around $600, while in Korea it flouted a ridiculous, greater than 1,000,000 won off-contract price tag (which at the time amounted to more than $1,000 USD). I have been told that government-levied protective tariffs are to blame, but I have yet to see confirmatory evidence of this. Even more perplexing is the fact that Apple has a very strong presence in Korea, and that their pricing is actually on parity with what they charge in America. In the USA, Apple comes at a premium. In Korea, Apple’s prices are relatively average. Korea also departs from the United States when it comes to how they search the Net. While the West relies primarily on Google, the East does things a little differently. 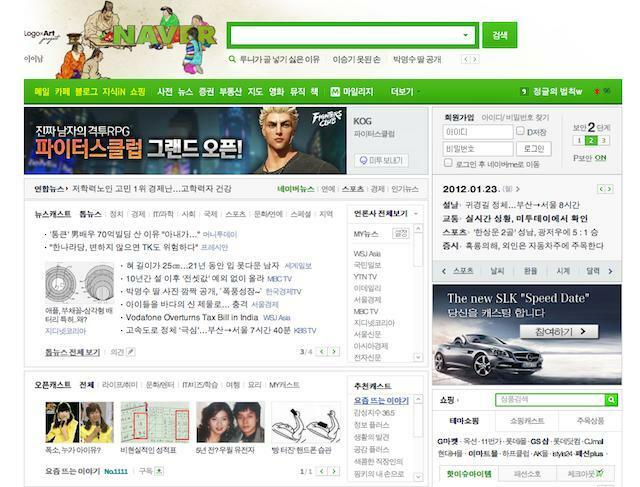 China has Baidu, and Korea has Naver, which shuns Google and Bing’s no-frills approach for a very Yahoo-esque landing page. Lastly is a curiosity that arises from the en masse nature of transportation and daily life: All photos taken on a phone must produce an audible sound. This mandate is to combat the voyeuristic temptations piqued by packed, no-room-to-move subway car – no sneaky cameraphone shots in public! And wearing headphones while snapping a picture – of anything – is not recommended. A shutter sounds over headphones is both piercing and considerably painful. The sound cannot be disabled, and it can make for some immensely awkward moments when you do not make explicitly clear what you are – and are not – taking a picture of. Due to several key factors, Korea is primed to retain its position as a world leader in technology for years to come. Yes, the country is home to Samsung and LG, which will ensure that Korean hardware is on par with the best that other countries can produce. But Korea’s real strength lies in its people and their insatiable desire for consumer technology. Their passion ensures that Korea will not just be a destination for leading-endge technology, but also a birthplace of it.